This scene from Copenhagen photographed last year by Brendan Ó Sé has been featured prominently in Apples "Shot on iPhone 6" ad campaign. Cult of Mac’s Photo Famous series introduces you to the groundbreaking photographers featured in Apple’s “Shot on iPhone 6” ad campaign. 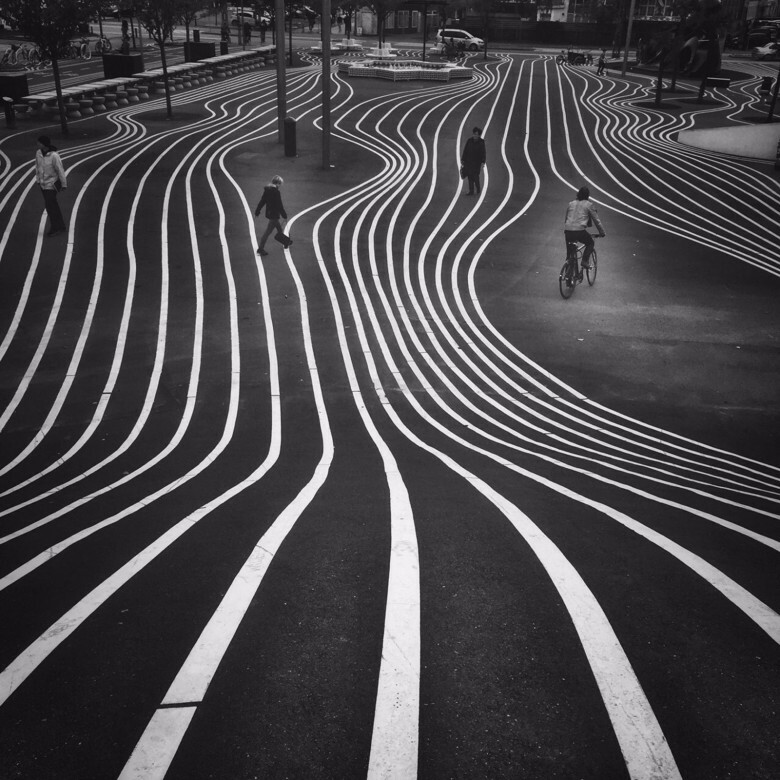 Brendan Ó Sé aimed his iPhone camera, composed on screen the wavy painted lines on a Copenhagen street and snapped the photo as four people entered the frame from different directions. For reasons Ó Sé cannot explain, he titled the photo, God will send a sign. When he does, be prepared. 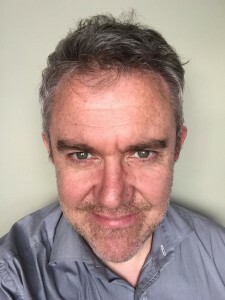 Not long after, Ó Sé received widespread attention for the photo after it was selected by Apple to be part of its “Shot on iPhone 6” advertising campaign. There were billboards in several countries, magazine ads, an international award and interview requests. Ó Sé was not prepared. He was kind of floored. That Apple’s ad team found his work may not be so improbable when you consider Ó Sé’s has growing recognition in the mobile photography community, which started in 2012 when he discovered the capability of the iPhone 4 camera while on a trip to Asia. He then joined mobile photography groups on Flickr and posted to Instagram. His followers grew as they began to take notice of his vibrant street photography and abstract motion studies. In 2013 and 2014, he received honorable mentions for several images in the Mobile Photography Awards and this year, he received the Mira Mobile Photography Prize for the same image that landed him in the Apple campaign. With a different iPhone image, he won Best in Show honors at the 2015 Florence International Photography Awards. He also is regularly asked to speak about his iPhone photography and give workshops. In April, he spoke about his work in London as part of Apple’s “Meet the iPhone Photographer” series. At some point, we will stop differentiating between photography and mobile photography. Being amazed at the quality of an image from a smartphone will wear off and it will all be photography, regardless of the tool used. Besides, cameras have mostly always been mobile, Ó Sé says. But even Ó Sé believes the iPhone is a game-changer, one that eliminates most technical barriers with abilities to instantly process a finished artistic image. Ó Sé shoots a lot of photos on his travels around the world but finds equally fresh opportunities in the ordinary hallways at his work. For a series of photos he calls The Corridors, Ó Sé turns the repetitive and mundane motion of people walking into ethereal shapes that could just as easily be mistaken for black ink bleeding across wet paper. 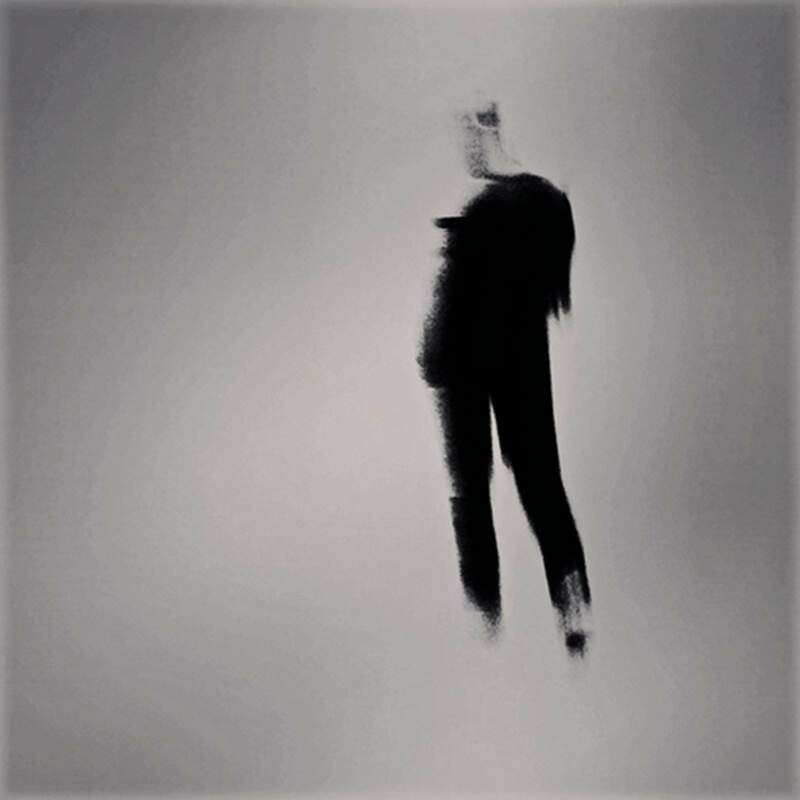 From Ó Sé’s series of blurred figures. What looks like a dark, strange dream is created by a flick of the wrist to create blur in the figures. He then uses the app SnapSeed to blow out the highlights and pump up the contrast of the people in motion. The images are abstract and the figures appear to be walking into something endless. In the blur, Ó Sé sees only clear possibilities.